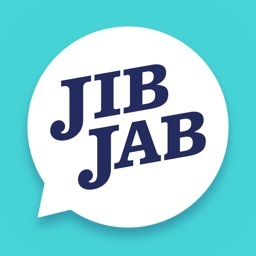 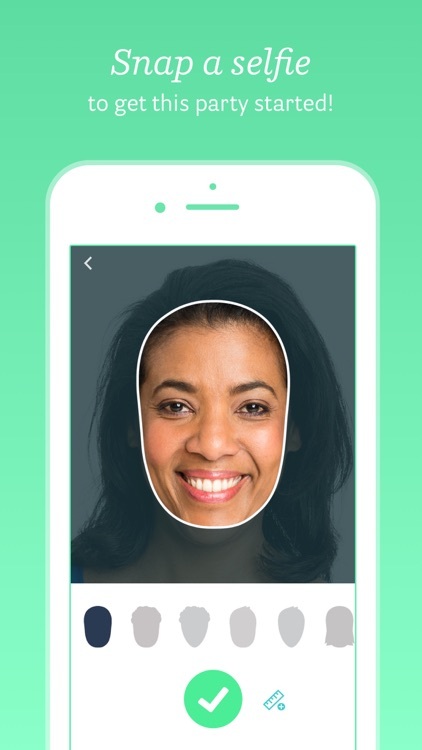 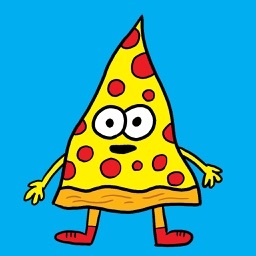 The JibJab app is the ultimate funny on your iOS device. 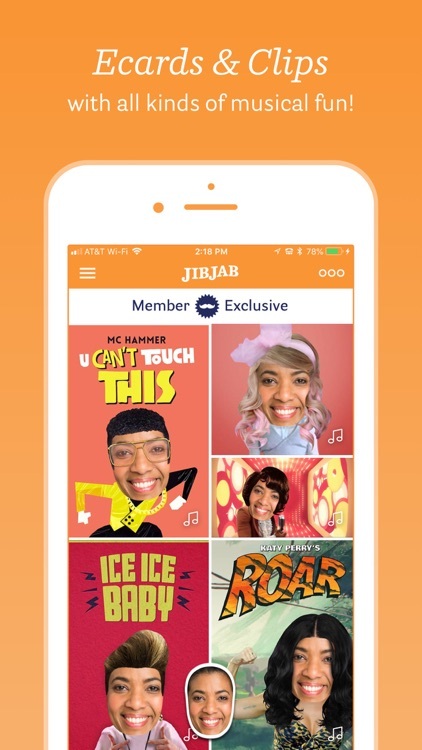 Feature GIFS, eCards, and favorite​ music videos, you'll never know what you might uncover next. 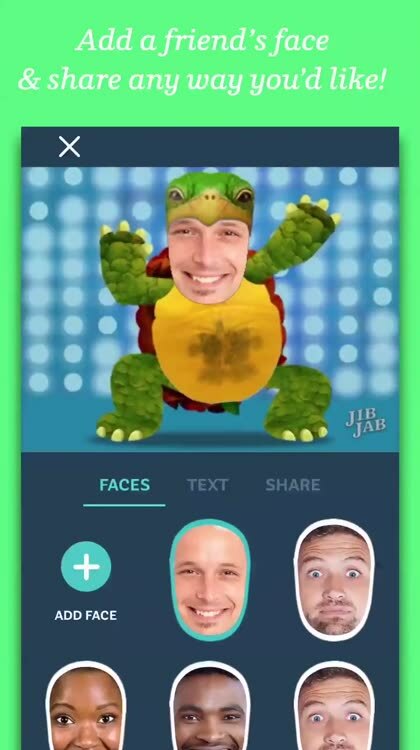 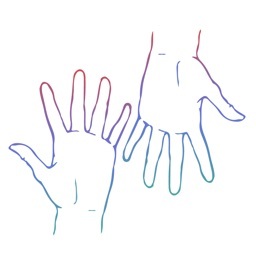 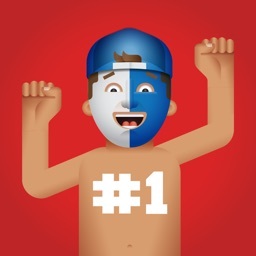 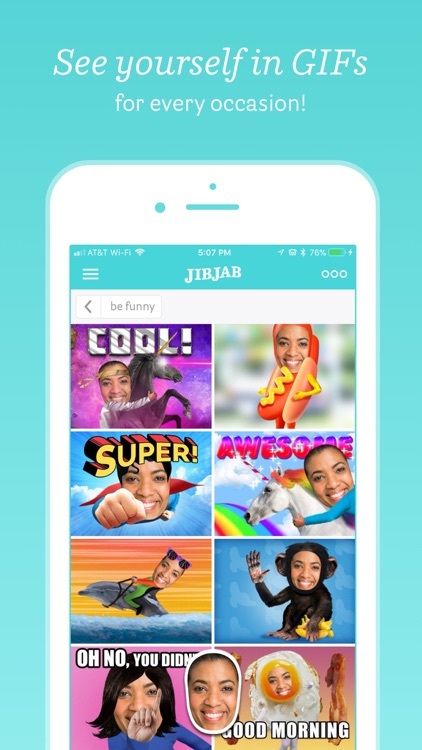 JibJab is a unique app that will make you and your friends laugh, and then laugh some more. 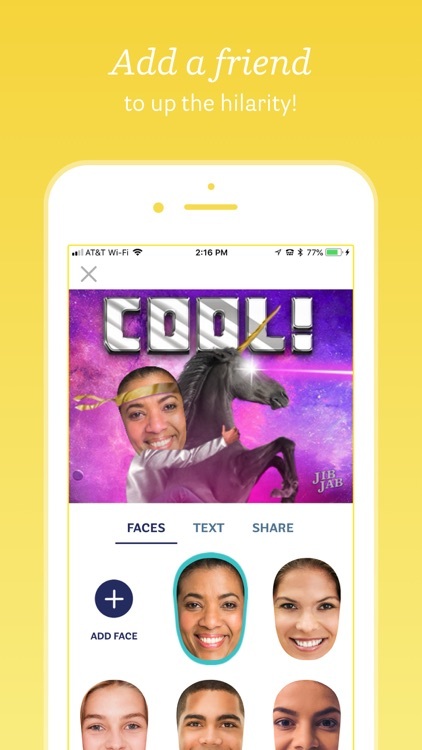 Put your face in funny GIFs, popular Music Videos, and dancing Ecards for holidays and special occasions including Birthdays, Valentine’s Day and more! 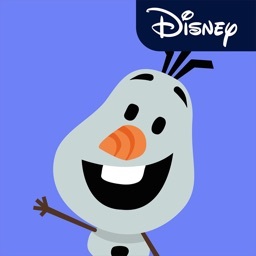 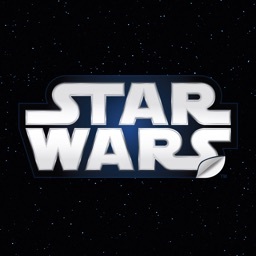 • You may manage your auto-renewal by visiting your iTunes Account Settings after purchase.